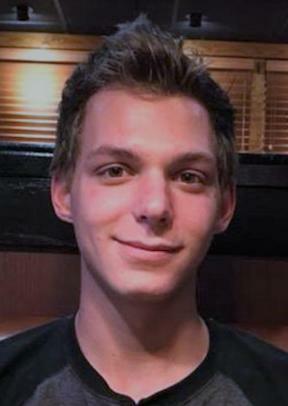 Jeffrey David Walker, age 24, of Tecumseh, passed away September 14, 2018. He was born October 14, 1993 in Detroit, MI. Jeffrey spent most of his childhood in Tecumseh and attended Tecumseh Public Schools. He enjoyed playing Lacrosse and was an avid skateboarder. Jeffrey was a loyal Blink-182 fan since the first time he heard their music. Jeffrey is survived by his son, Jeffrey David Walker, Jr., parents, Rebecca and Marc Landry of Tecumseh and Bruce Walker of Naples, FL; 3 brothers, Bruce Walker, Phillippe Landry and Ben Landry; 2 sisters, Sarah Walker and Danielle Walker; grandmothers, Mary Manning of Howell and Judy Nestor of St. Helen; niece, Audrey Bilbrey, who adored him and girlfriend, Hunter Willis. He was preceded in death by several grandparents, and an uncle, Buddy Brock. Funeral services will be held 11:00 a.m. Wednesday September 19, 2018 at J. Gilbert Purse Funeral Home, Tecumseh with Rev. Brian Jones officiating. Interment will follow in Howell, Michigan. Visitation will be from 4-8 p.m. Tuesday September, 18, 2018 and one hour prior to funeral services Wednesday at J. Gilbert Purse Funeral Home Tecumseh. In lieu of flowers, memorial donations may be directed to Rebecca Landry in order to set up an educational fund for Jeffrey, Jr. Condolences to the family may be made online at www.pursefuneralhome.com.